I’d read a book of short stories by Stephen Crane years ago, but apart from “The Open Boat” and “The Blue Hotel,” which I know were included only because I’d made a note about liking them, I don’t remember the names of the other stories or even what they were about. As I say, it was years ago. But I’d also made a note: “One day I'll have to find The Red Badge of Courage. It's supposed to be Crane's best work.” Over the weekend I did. I can see why he’s considered such an important writer despite his short life (Crane died at the age of 28). 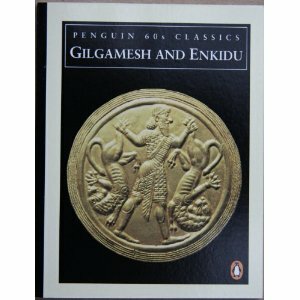 Although complete and unabridged (which is how I prefer all my books), like his life, the book is relatively short. It was published in 1895, but there’s none of the awkward diction or stoic syntax you might expect from a book published over one hundred years ago. It’s a very smooth read. Crane’s vivid descriptions, paired with a liberal and insightful use of metaphor, approaches the profound. I’ve read a number of war novels over the years, and apart from Erich Maria Ramarque’s novel All Quiet on the Western Front, this is probably the best rendering of war I’ve come across. 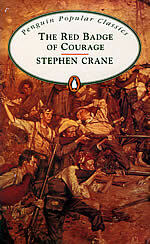 Ironically, Crane wrote and published this book without having any military background or experience. It was only after the book was published that Crane became a war correspondent. Gilgamesh and Enkidu, translated by N. K. Sandars. I need to point out that this book is about the size of an index card and thinner than a cell phone. So I’m not counting it as a book, per se. Only 55 pages long. From a used bookstore for only fifty cents. I’m no math whiz, but that’s about a penny a page. I love myths, legends, and folk lore, so I had to grab it, even if it took only half an hour to read. I’ll Always Have Paris, A Memoir, by Art Buchwald. Having heard this author’s name tossed around most of my life, I finally decided to probe the hubbub. Buchwald knew just about every celebrity alive at the height of his career as a newspaperman for the Herald Tribune in Paris. He traveled extensively, interviewed the rich and famous, ate with powerful people at the most expensive French restaurants, and like Hemingway, he, too, went on safari (only for Art it was precisely because Hemingway had; Art refused to shoot an animal). It’s a bland book with a few amusing episodes and plenty of dull reporting (essentially, and not surprisingly, like a newspaper). I realize gossip sells but who had an affair with whom just didn’t appeal to me. If only the writing were as engaging as the dirty laundry. Not recommended unless you’re paparazzi, only substitute the camera for reading glasses. Travels, by Michael Crichton. Not the most well written autobiography but certainly fascinating. It’s essentially a chronicle of his worldly and spiritual exploration. Crichton claims to have seen auras, participated in spoon bendings, visited an astral plane, witnessed and been possessed by entities, as well as other psychic phenomena. His telling struck me as genuine primarily because he didn’t seem to care whether his readers believed a single word. Strangely enough, at least to me, he attributes none of these experiences to a deity of any kind. In fact, either due to ineptitude or deliberate circumspection, Crichton makes no attribution to these powers at all. This left me disappointed. For Crichton, experiencing these things was apparently enough, but I would’ve preferred a bit of philosophizing, some commentary to accompany the claims. His last chapter was dedicated to skeptics at Cal Tech. He hoped to address CSICOP (Committee for the Scientific Investigation of Claims of the Paranormal), and he prepared a speech outlining the limitations science suffers when dealing with these things. He also hoped his speech would further encourage open-mindedness. He was never invited. My primary complaint is that Travels lacks focus. 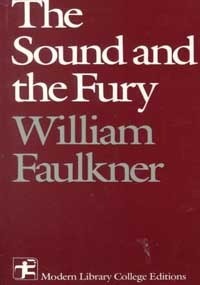 The Sound and the Fury, by William Faulkner. In an interview, when asked whether this was his best novel, Faulkner said it was certainly his favorite. Since it’s considered a classic, I wanted to like it. I did, barely. Passages are downright extraordinary, reminiscent of Philip Roth’s Portnoy’s Complaint; other portions are utterly unintelligible – reams without punctuation (sometimes several pages' worth), stream-of-consciousness – deliberately confusing points of view, ideas that neither belong nor remove an already confusing narrative plus hints at psychological turmoil sans significance I think you see what I’m doing here by demonstration. The format is frustrating, with the first ‘chapter’ dealing with one group of characters, the next chapter taking place eighteen years prior with a different set of characters altogether, then yet another chapter jumping ahead eighteen years but the very day before the first chapter, etc. In short, it was a mess. The appendix, which I enjoyed more than I did the novel, belonged in the novel itself and would’ve gone a long way to illuminate things in the story. I don't know why Faulkner would want to deliberately confuse the reader. This, to my mind, is the epitome of self-indulgence, and I can’t recommend it, except as exhibit Z to my long-held view that many classics don’t deserve the label. The Winter of our Discontent, by John Steinbeck. Here, Steinbeck paints the wealthy as compromised souls: no one climbs without digging his heels into the backs of others – a ubiquitous (and flawed) concept among liberals but forgivable here in lieu of the superb writing. I’m rarely moved anymore by what I read (I tend to be overly analytical), but the end made me crunch my face and spill a tear. Curiously, Steinbeck and his protagonist, Ethan Allen Hawley, trade off telling the story throughout the novel. The author takes the first few chapters (third person perspective). Then Ethan narrates a few chapters (first person point of view). This wasn’t necessary, but it wasn’t distracting, either. So I didn’t mind. Highly recommended. Winter of Our Discontent is my favorite Steinbeck novel. Not as well known as others, but deserving a place high in the pantheon.